Hope Park is the main teaching campus and the hub of the academic, administrative and conference activity of the University. 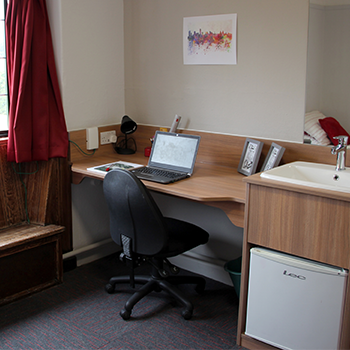 The 532 rooms are reserved for first year undergraduates and include both en-suite and shared facilities rooms. All rooms are single occupation and include internet access. 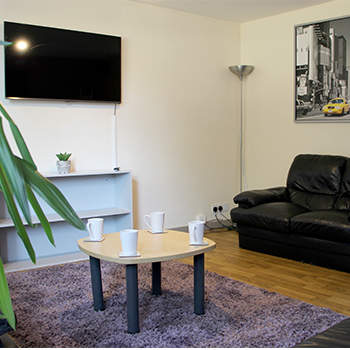 Hope Park Accommodation is located within the main University campus, which means you can roll out of bed and into your lectures in a question of minutes! 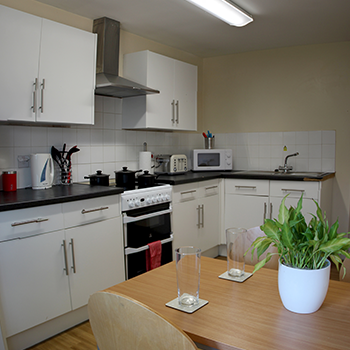 The campus is situated in a pleasant suburb of Liverpool, just a short bus ride away from the city centre. It's close to local shops and pubs, as well as a beautiful park down the road (Calderstones), and less than a couple of miles away from all the pubs, bars and cafés on Smithdown Road. Living at Hope Park, you will have access to our main library, IT labs, a laundrette, campus shops, several eateries, sports complex, Students’ Union office and bar. The en-suite, self-catering halls at Hope Park provide you with both privacy and comfort. 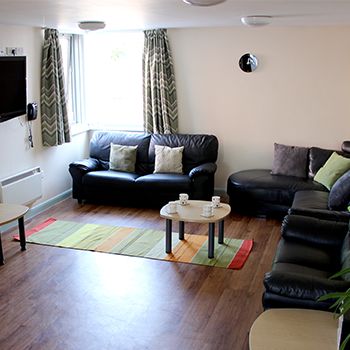 The flats are arranged into rooms of five, all sharing a large kitchen and dining area. There are 11 student flats per block, with two flats situated on the ground floor and three flats on first, second and third floors. Accessible rooms are available in these halls. Oscar Romero and Kitty Wilkinson Halls (currently known as St Agnes & St Margarets Hall) have 46 rooms in total and are located in the historic Grade II listed Hilda Constance Allen Building, built in 1930, and featuring the picturesque Hope clock tower. 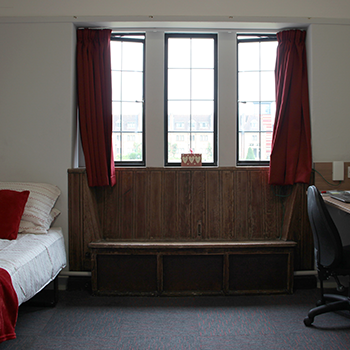 The rooms have period features including recently refurbished leaded windows and window seats. Many look out onto the greenery of the Rector's Lawn with its landscaped borders. Oscar Romero and Kitty Wilkinson consist of two cluster flats per hall. 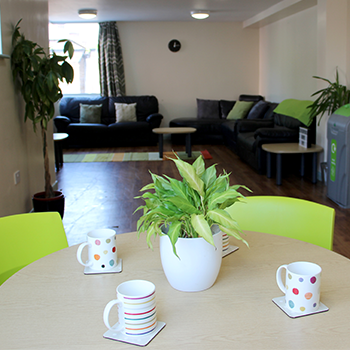 Each cluster flat houses 11/12 single bedrooms that share 3 bathrooms, a large lounge/dining area and a kitchen providing an informal and friendly environment for students who enjoy socialising and making friends. 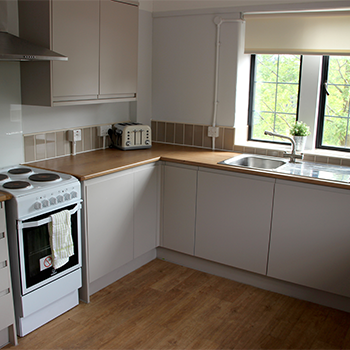 Fully furnished kitchen equipped with fridge-freezer, cooker, microwave, kettle, toaster, iron, ironing board and vacuum cleaner. Josephine Bhakita & Catherine Booth Halls (currently know as St Elphin & St Etheldreda Halls) have 54 rooms in total, are located in the historic Grade II listed Hilda Constance Allen Building, built in 1930, and features the picturesque Hope clock tower. The rooms have period features including recently refurbished leaded windows and window seats. Many look out onto the greenery of the Rector's Lawn with its landscaped borders. Josephine Bhakita & Catherine Booth each house 26 students on a corridor in a dormitory style. 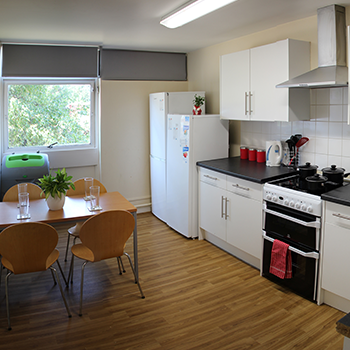 Each hall has five bathrooms and four kitchens providing an informal and friendly environment for students who enjoy socialising and making friends. 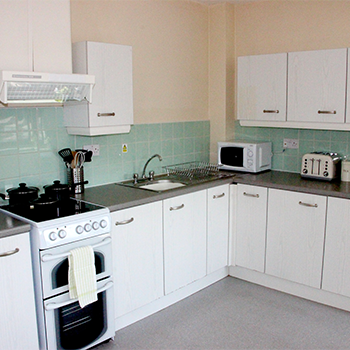 Kitchens equipped with fridge-freezer, cooker, microwave, kettle, toaster, iron, ironing board and vacuum cleaner. Angela and Austin are purpose built halls with 102 rooms in total. Each hall houses 51 students spread over four floors. Each floor shares approximately four bathrooms and two kitchens. 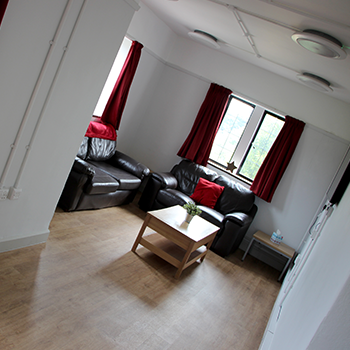 The common room on the ground floor can be used for meetings, social events or just relaxing. 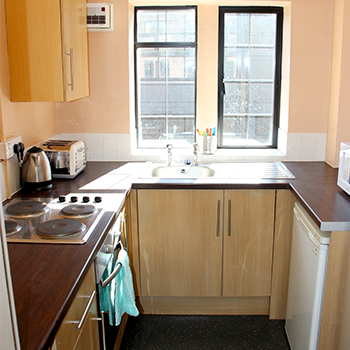 Fully furnished with single bed, double wardrobe, study area, chair, drawers and shelves. Residential Life Team for out of hours support Mon - Sun 7pm – 10pm.